11th Hour is a 2007 documentary film, created, produced and narrated by Leonardo DiCaprio, on the state of the natural environment. “Global warming is not only the number one environmental challenge we face today, but one of the most important issues facing all of humanity … We all have to do our part to raise awareness about global warming and the problems we as a people face in promoting a sustainable environmental future for our planet.” -Leonardo DiCaprio. Visit his website to learn more about his environmental work. Trailer for this movie. 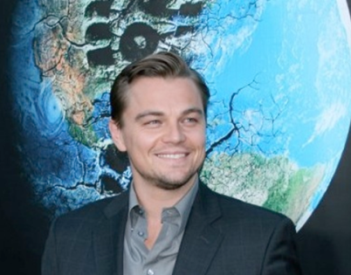 In November 2010, DiCaprio donated $1,000,000 to the Wildlife Conservation Society at Russia’s tiger summit. DiCaprio arrived late after two near-miss flights, causing Prime Minister Vladimir Putin to describe him as a “muzhik” or “real man”.In 2011, DiCaprio joined the Animal Legal Defense Fund’s campaign to free Tony, a tiger who has spent the last decade at the Tiger Truck Stop in Grosse Tete, Louisiana. Experts interviewed underlined that everyone must become involved to reverse the destruction and climate change. The role of humans in the destruction of the environment is explained from the viewpoint of several different professional fields including environmental scientists, oceanographers, economic historians, and medical specialists. The many experts called upon in this documentary effectively demonstrated a consensus concerning human-caused climate change, and the many other impacts of industrialization such as the dramatic loss of species (biodiversity). This entry was posted in 11th hour, documentary, environmentalist, Leonardo DiCaprio, movie, solution, Uncategorized and tagged 11th hour, documentary, environment, global warming, Leonardo DiCaprio, movie, pollution, solution. Bookmark the permalink.